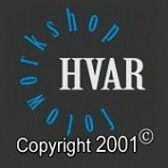 Fashion workshop on the island of Hvar organized by the founders of this course since 2001. We have detailed knowledge about the island and its locations. Individual approach to students and a rich history course guaranteed. The course was attended by 884 photographers, some of them regularly coming back here and created a lot of successful films. We Do not copy someone else's project, we have our own ideas and we have no competition in this field. Do you want to know how to shoot a real fashion photos with proffesional models, styling and modern technology? Do you want an individual approach in a small number of photographers and learn what's new in lighting? If you decide to follow this course, we can guarantee you that we are not a "hobby" tutors, who photographed only stocked photos. In figurative photography we have many years of experience. The concept of the course are not rooted in any photographic publications, but including proffesional knowledge and current trends. Do you want to know how to shoot a real fashion photos with proffesional models, styling and modern technology?